We’re getting very close to the January 30 event where BlackBerry 10 and the first devices running the new operating system are finally unveiled to the world. 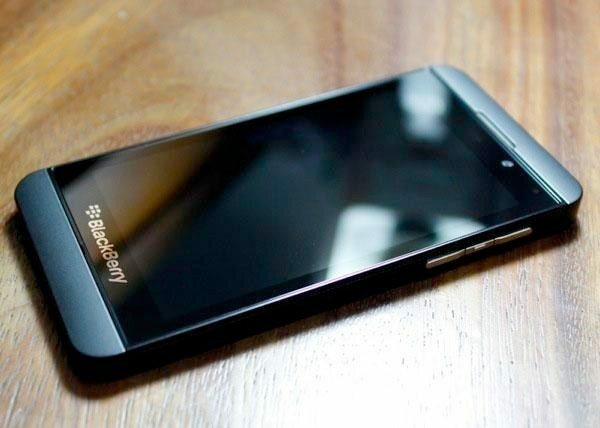 The BlackBerry Z10 will be the first smartphone to release running on BB10 and looks pretty impressive from the images and leaked specs that we’ve seen already. Today though we have heard our first news about the BlackBerry Z10 price. A lot of information has already come out prior to the big media event and we’ve been pretty excited with what we’ve heard so far. Although several months ago we were doubtful that RIM could turn things around and thought that the company was relying too much on BB10 to succeed, in the last few weeks what we’ve learned about BB10 and the Z10 has sounded more and more promising. We’ve already posted some initial details and images, news that it looks as though the Z10 will come to Verizon in the US, photo tests, video tests and much more but so far we hadn’t heard any mention of price. However now a leaked internal database from Carphone Warehouse in the UK has revealed a price of Â£480 for the unlocked BlackBerry Z10, as reported by Engadget. It also shows that this is for a white variant of the phone with a model number BLAZ10WHI, which ties up with previous leaks. The Â£480 price tag converts for the US to around $760 although prices are often vary region by region. Of course we have to point out that this price cannot be confirmed but often these slips that come out before a device becomes official do turn out to be accurate. At any rate it’s only four more days now until the BlackBerry 10 event where we hope to hear further details. As far as a release date for the BlackBerry Z10 goes we’ve heard rumors of February 28 via a leaked inventory from Best Buy in Canada. We’ve also told about a T-Mobile US roadmap that shows the Z10 with a launch date of March 27 but just like the price leaks we cannot confirm these dates just yet. We’ll be following all the news from the BB10 event on January 30 so be sure to check back with us for much more on the new operating system, the Z10 smartphone and hopefully other devices too. Are you waiting eagerly to hear more about BB10 or the Z10 phone? Maybe you thought BlackBerry was past its best but do you think BB10 can revive the platform? Let us have your comments about this. so, when is the fire sale starts? The fire sale will be starting in July with the phones selling for $250.00. bb10 X10 details and price availability are??? ?